Val d'Isere combines with Tignes to form the fantastic Espace Killy, offering endless excitement to suit all tastes and abilities. 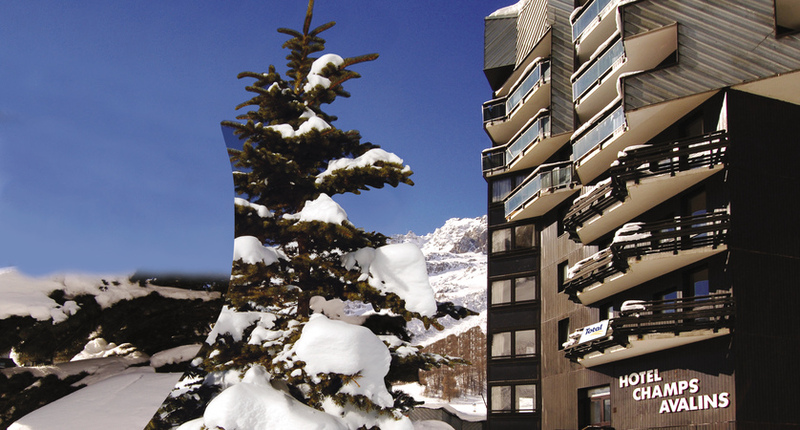 The resort is composed of La Daille, Val d'Isere centre and Le Fornet, all linked by a free bus service. At the bottom of the famous World Cup piste, La Daille provides easy acess to skiing via the Funival funicular and brand new Symphony 10 person gondola with 50 cabins whilst Val d'Isere centre has a lovely Alpine village atmosphere. Val is renowned for its nightlife, which ranges from lively clubs to cosy creperies and traditional restaurants. A few nursery slopes in the resort, served by free lifts, are complemented by a new high-altitude sector for beginners at the top of the new Solaise lift. These nursery slopes are served by three covered magic carpet lifts. The area is designed especially for children from 3 to 10 years old. The four areas encourage children to try their hand at snow sports, whilst having fun at the same time. The famous 'Face' piste - the men's Olympic downhill - is a must, as are some of the resort's unrivalled off-piste, especially on the Le Fornet side. Take a local qualified guide and explore the glorious bowls and challenging couloirs of this huge area. Or use a guide to go ski touring to discover the untracked areas. Each day at 2pm on the Front de neige you can practise with transceivers and probes to discover 'victims' with the help of an expert. A boarders' paradise: very few drag lifts and lots of off-piste. The world-class snowpark has 30 kickers and obstacles for beginners to advanced. It is located on Bellevarde beside the slalom course and is easily reached from the top of the Olympique gondola or e Funival funicular from La Daille. There are also two natural ski/boardercross courses on Bellevarde and another track on Solaise for racers to pit their skills against each other in a safe but fun environment. Chalet Hotel & Spa Le Savoie is our flagship Chalet Hotel. It's our first "Platinum" property, in an extremely convenient location on Val d’Isère’s central main street. From here it is just a short walk to your choice of the Solaise Express lift for the Solaise / Le Fornet side of the ski area, or the Olympique gondola if you want to ski across towards Tignes. Apart from the advantages of the excellent location at the foot of Val d’Isère’s La Daille slopes, you are assured a genuinely warm welcome from our team of friendly staff, led by an experienced Manager. The modern and elegant Hotel Aigle des Neiges offers comfortable accommodation, good food and a high level of service. The hotel is superbly situated for the slopes and village shops ensuring that you are never more than a few minutes walk away from all that Val d’Isère has to offer. This beautiful hotel reopened in December 2017 having undergone a complete refurbishment. Located in a quiet area, yet within walking distance of the centre of Val d'Isère and the ski lifts, the hotel promises to be a firm favourite this winter. This picturesque residence reopened in December 2017, and is a chalet style residence which has recently had a complete refurbishment. Located in Val d'Isère, only a 5 minute walk from the ski shuttle bus and the ski lifts. 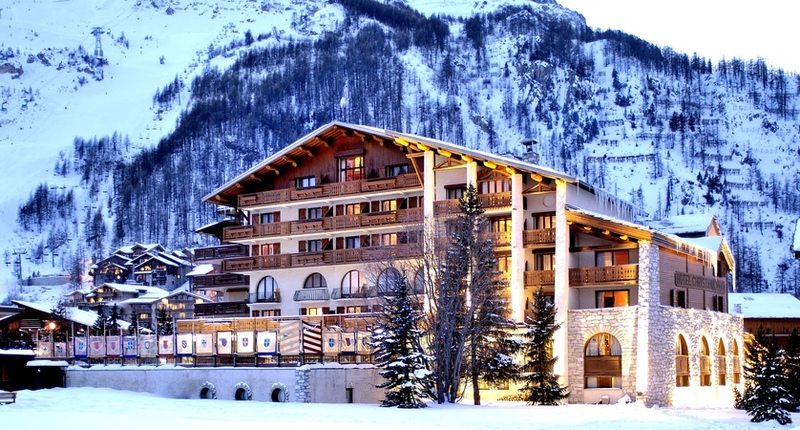 Set in the heart of Val d’Isère, the Avenue Lodge is a fantastic 5 star hotel. With an enviable position we offer this property on a bed and breakfast basis with the option of dining half board (at a supplement) to enjoy the restaurant's fine food. One of the resort’s leading hotels, the Christiania exudes luxury and elegance and is renowned for excellent service and cuisine. The Hotel Kandahar is a genuine alpine retreat. The warm and cosy atmosphere oozes charm, comfort and well-being. The third generation of the Bonnevie family has completely re-built this exciting new hotel in 2012 and is now being updated and redecorated including a new spa for the 18/19 winter season. Formerly the Hotel Bellevue, one of the first hotels in Val d'Isère, the essence of this hotel is a welcoming and relaxed family atmosphere. Stunning brand new apartments in the most enviable of resorts. Offering high standards of comfort and facilities, these great value apartments are perfect for groups or families seeking a peaceful yet central location. The La Daille Apartments are situated in the perfect position for keen skiers to make the most of the impressive Espace Killy ski area. These studios and apartments offer value for money accommodation in this prime resort. Times. AM: 9.00-noon. PM 14.00-17.00. Please note that adult group ski lessons are 09.00-11.15 and 11.15-13.30 for departures on 10th, 17th, 24th Feb and 7th, 14th April. 3 day tuition Mon - Wed, a check-up clinic (not suitable for beginners): £183. Self-Drive Save up to £100 per person.